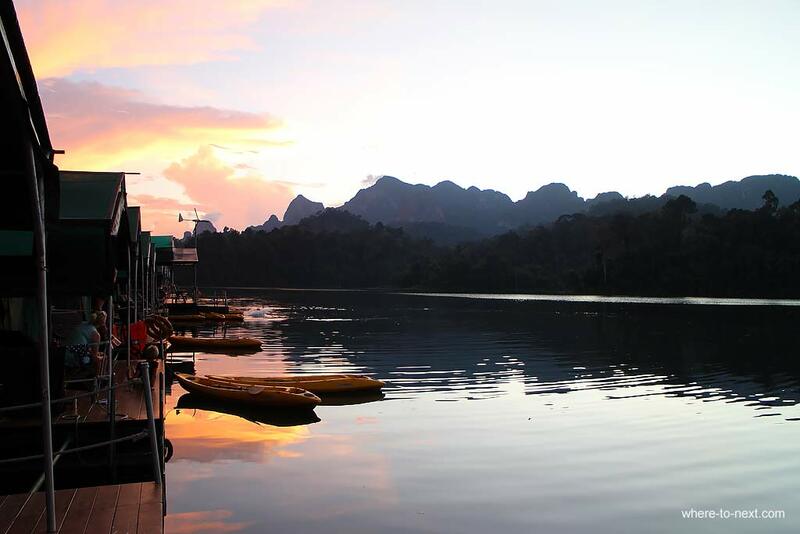 Elephant Hills: glamping in Thailand's Khao Sok National Park. - where to next?where to next? 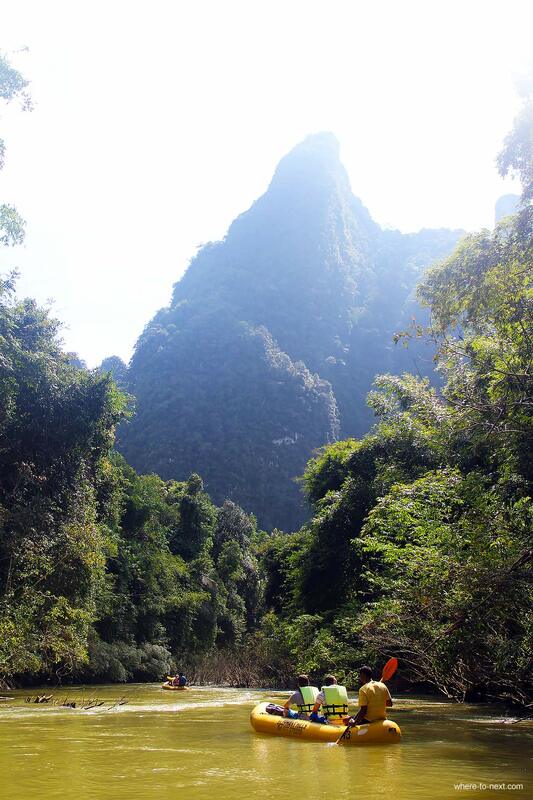 Home / Blog / Elephant Hills: glamping in Thailand’s Khao Sok National Park. 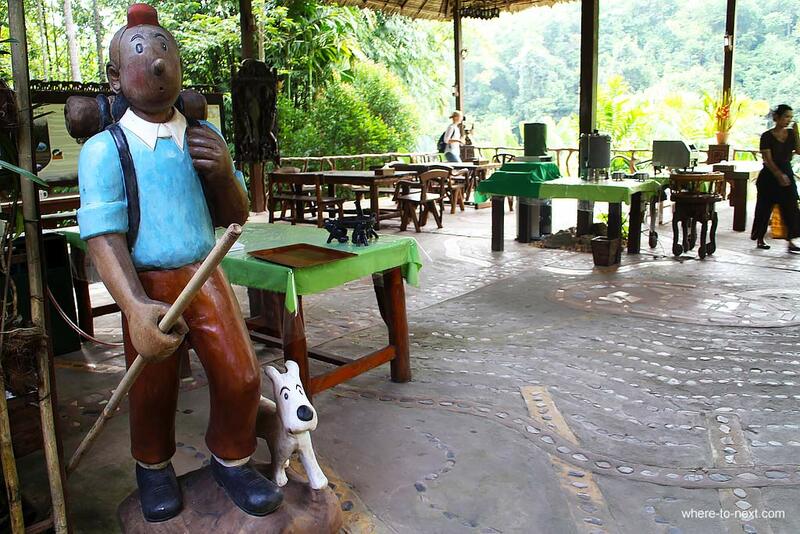 Elephant Hills: glamping in Thailand’s Khao Sok National Park. 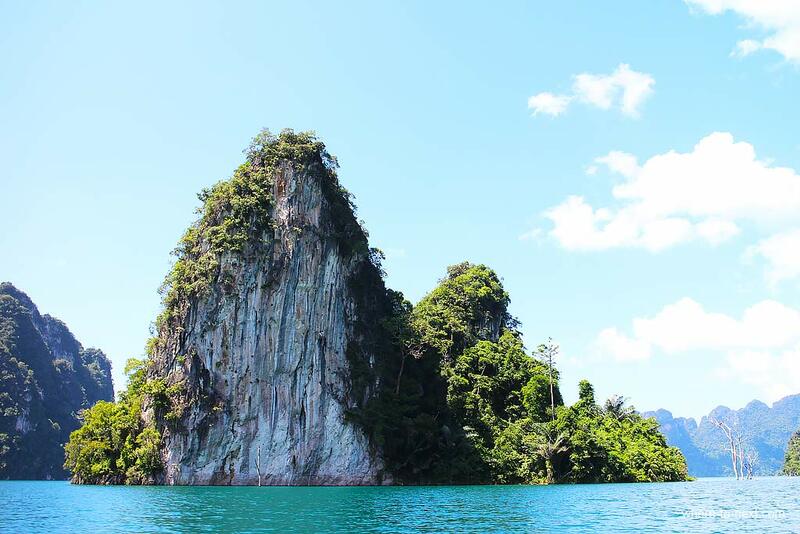 Floating on a lake, surrounded by tall limestone mountains and dense jungle, it’s hard to believe that the busy heart of Phuket is only two and a half hours away. The sun is setting and the noise from the jungle, a noise that I had assumed was an industrial plant over the hill somewhere processing timber with a large number of circular saws… turns out to be cicadas. Gradually, as the light fades, so does the symphony of cicadas, until we’re left with a few chirping crickets, the odd gibbon hoot and tiny ripples on the water in front of our floating tent. We’re into the second day of our Elephant Hills Safari, an African style ‘luxury’ safari on the Thai Peninsula, about halfway between Phuket and Krabi, in the Khao Sok National Park. Our Safari started with an early pickup from our Phuket hotel and we’re provided with water and peanuts to sustain on the 2.5 hour journey to our first camp, at Elephant Hills. On arrival we’re greeted with a slap up buffet lunch and shown to our glamping accommodation. Once our Thai buffet feast has settled we we head down to the river bank and clamber into canoes for a trip down the Sok river. About an hour downstream we clamber ashore and climb into our safari truck which takes us to the elephant camp a few minutes away. 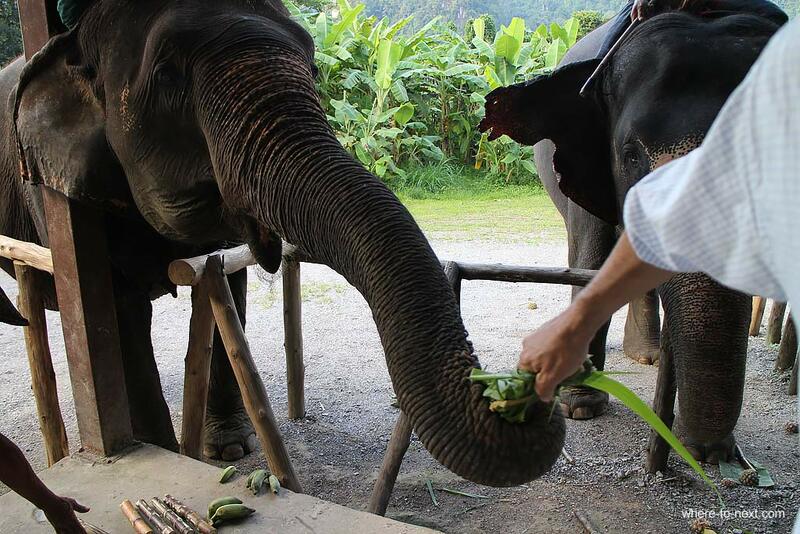 Here we meet the elephants and we’re given a comprehensive lesson on everything from their behaviour in the wild, their use in the now defunct logging industry and what has eventually brought these beasts here, to a sanctuary in the far south of Thailand, a long way from home. Quite simply, there is little natural environment left for Asian elephants to survive in, a legacy of the logging industry which has left disconnected pockets of rainforest throughout Thailand. So it’s hard for elephants to survive as they normally would, but also, some of these beasts have been domesticated for so long they’ve forgotten how. There are now many national parks in Thailand, the result of a grass roots-led environmental movement that started back in the 1980s. 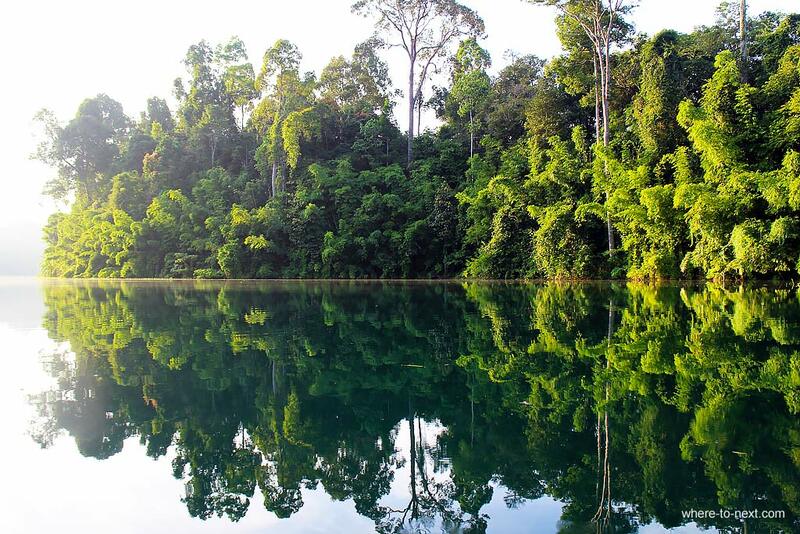 A movement that ended the logging industry, stopped the construction of a dam in central Thailand that would have had a devastating impact on the environment, and which has now created a generation of conservationists. Thais visit their own national parks more than any other nationality – the parks are not there purely for the benefit of international tourists like me. Looking after the natural Environment is a value that fits well with Buddhist philosophy, so after success of the grass roots environmental movement back in the 80s, it became something taught to the younger generation of Thais in schools by Buddhist monks. And then there’s places like this, educational centres that introduce tourists to these magnificent creatures. 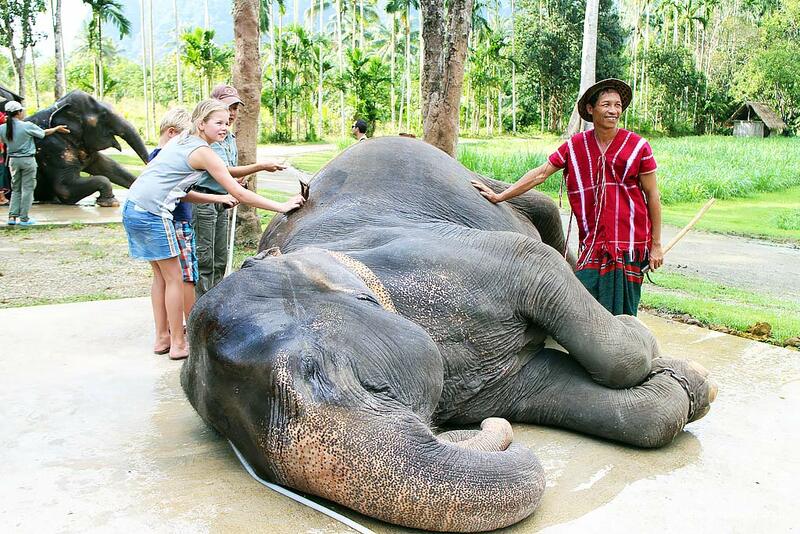 These elephants have travelled from North and Central Thailand, and brought with them their Karen Mahouts who, dressed in colourful traditional garb, click, cluck and slap their cheeky charges into line as we first learn how to give them a scrub, before preparing a lunch of pineapple, bananas, sugarcane and elephant grass. They all have very distinct personalities and tastes, as I discover trying to feed my fussy old girl bananas when all she’s interested in is pineapple. 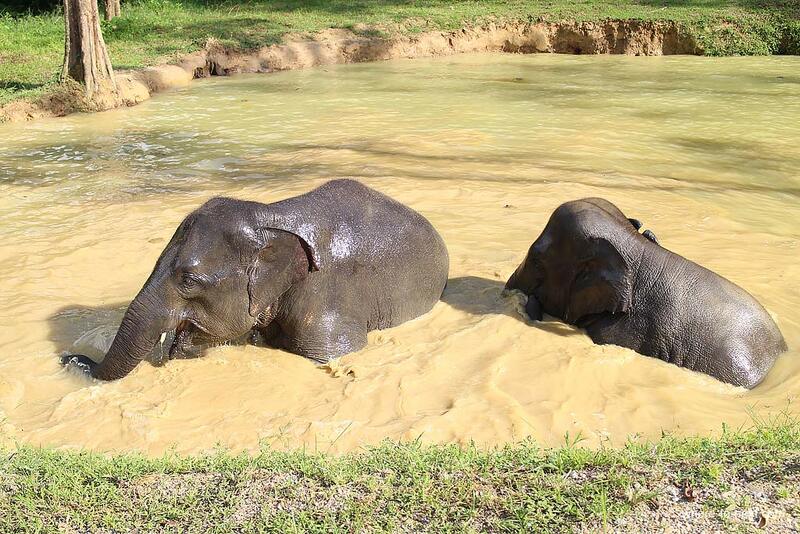 Two nearby youngsters (8 years old – teenagers in elephant years) are having a ball rolling about in a muddy pond and not interested in eating at all. Having exhausted elephant food supplies, we take our safari bus back to camp where we watch a documentary about elephants, followed by a dance recital by some local school kids. 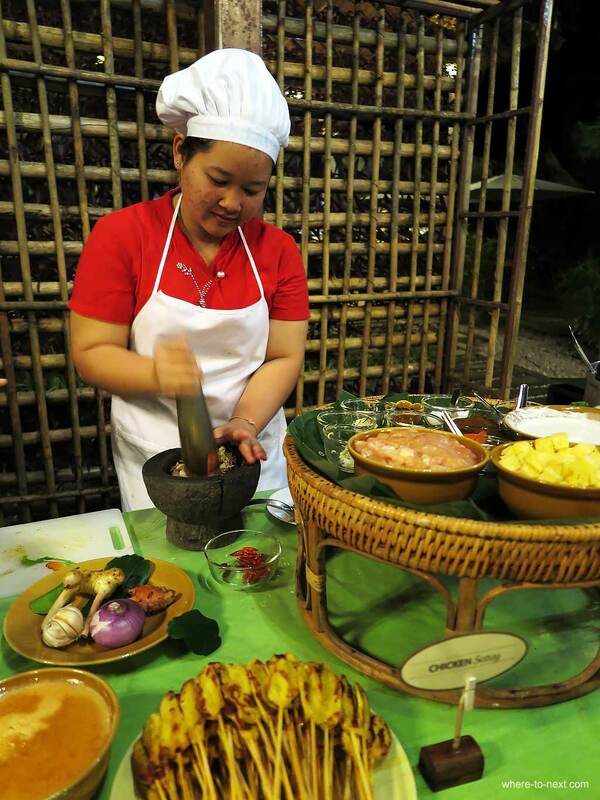 We’re then given a Thai cooking demonstration, fed another delicious buffet dinner and it’s off to our luxury tents for the night. The next day we head for Camp 2: a floating camp on Cheaw Lan Lake. 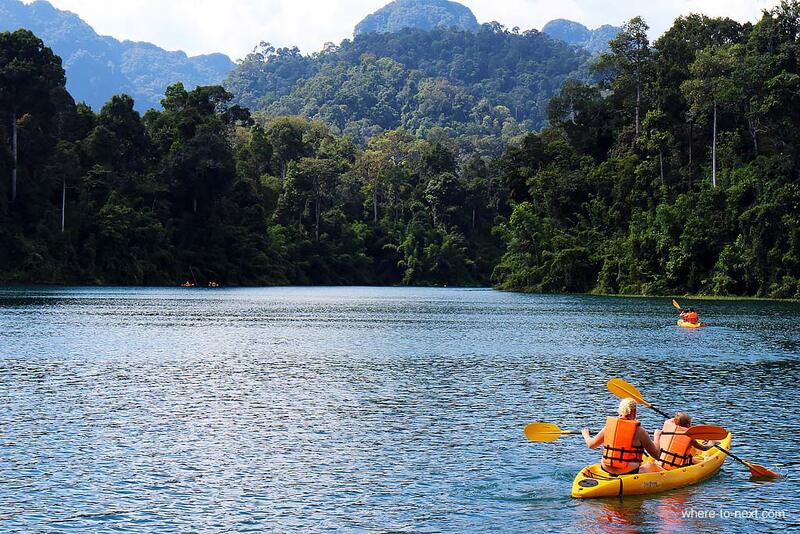 The lake was created by the construction of Ratchaprapa dam, which provides hydroelectric power to the surrounding regions and has opened up this seemingly impenetrable mountainous jungle to visitors like us. 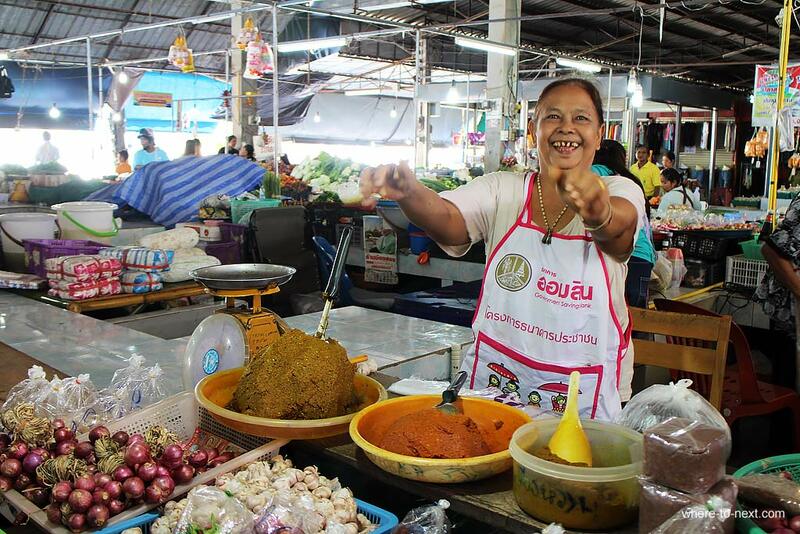 We stop on the way at a sprawling market to wander around, pick up some bargains (and snacks) and chat via sign language with the locals (my Thai is sadly lacking). We speed across the lake to our floating tents in a long tail boat, taking a few spins around the steep limestone pinnacles that dot the lake, former mountain tops that are now islands. After we’re plied with a bit more food we take off for our first serious bit of exercise, a 3-hour trek through the jungle, climbing one of the pinnacles to reach a large cave. It’s heavy going, the heat and humidity making hard work of it. 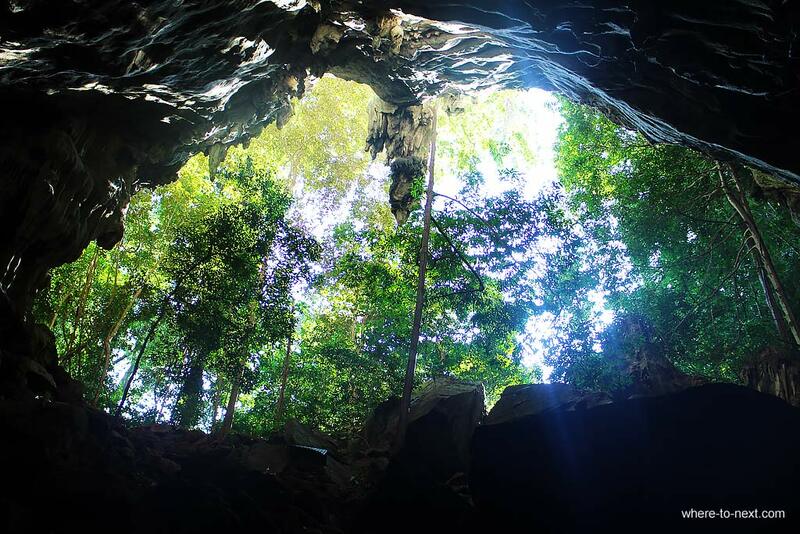 We finally reach the cave with hardly a dry patch of clothing left on us, but satisfied none the less to have made it. The track downhill is somewhat cooler, it now being after 5pm, and it takes us a quarter of the time to reach the lake again than it did to reach the top. A long-awaited plunge in the lake follows, clothes and all, before its time for that first beer as we relax in front of our tent listening to cicadas and gibbons having fun in the jungle. On our last morning here, we get up bright and early and head out on kayaks to see if we can find a few monkeys. We can certainly hear them, but they’re somewhat illusive (what with the jungle being so dense and all). 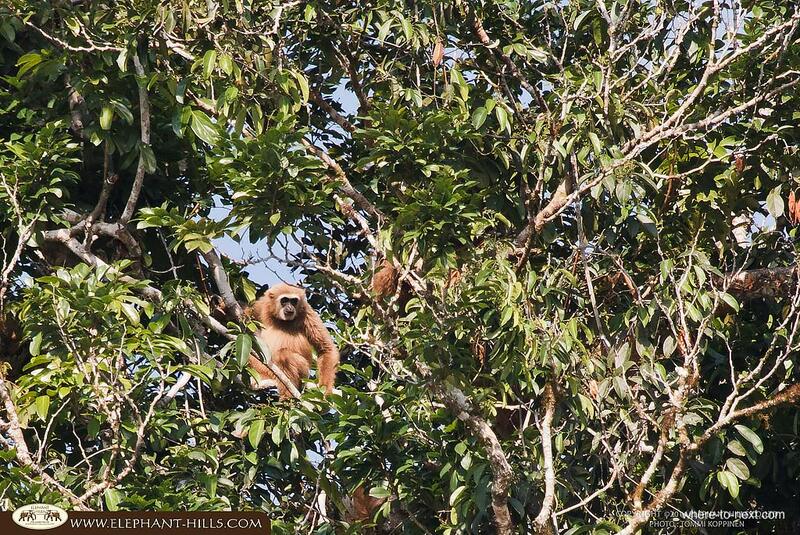 After about 30 minutes paddling we do eventually find a family of gibbons, and from that point on, they seem to become easier to find. 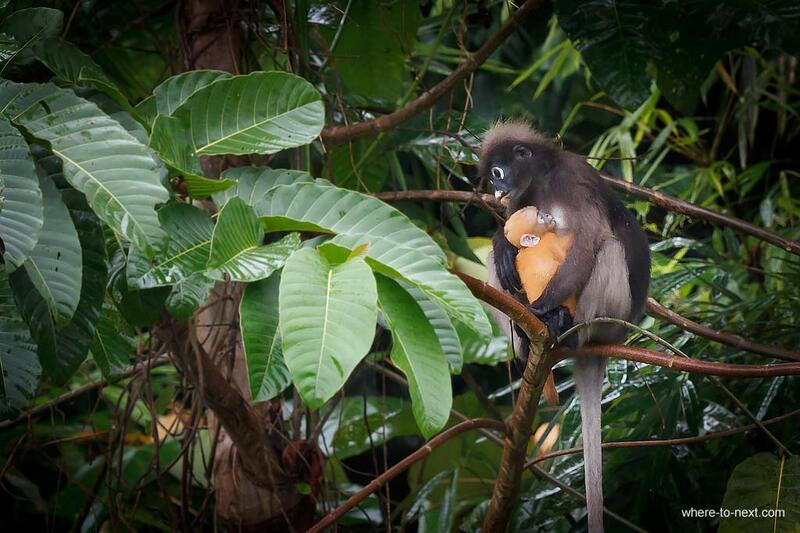 We spot a few little dusky langurs next and several hornbills fly overhead, making a sound that could be mistaken for pterodactyls. So this is how our last morning is spent, paddling (slowly) around a few nearby islands spotting wildlife before our last lunch on the lake. A peaceful few hours before returning to the hustle of Phuket. For more information, visit the Elephant Hills website.